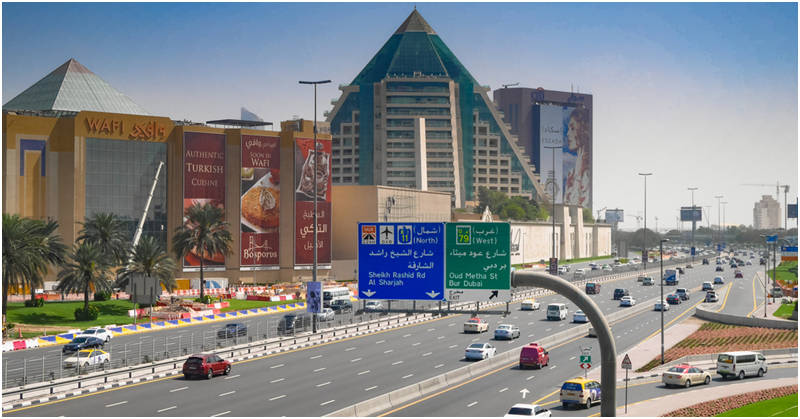 The UAE puts a premium on traffic and road safety. If you’ve been in the Gulf State at least once, you would learn about the country’s traffic fines and black points. Failure to comply with the law will have major repercussions (other than ending up in an accident, most likely) and could potentially affect your ability to drive in the country in the future. Motorists who commit speeding violations through crossings and not giving priority to pedestrians will be up for a fine of AED 500 and then given 6 black points, as shared in a report by the Khaleej Times. According to the report, the Abu Dhabi Police will soon activate the new warning radar devices set up at various pedestrian crossings and school areas across the emirate. AED 500 fine for stopping the vehicle on the pedestrian crossing. AED 400 for parking the vehicle on the pavement. AED 400 for stopping the vehicle in a way that threatens pedestrians or prevents their safe passage across the road. The said warning devices employ Artificial Intelligence (AI) technology, which aims to give priority to pedestrians at crosswalks. Further developments of this project will target the construction of pedestrian footbridges and tunnels, as well as closing off holes or spaces between fences to maintain safe passageways for all residents. Based on the studies conducted by the government, majority of traffic accidents in Abu Dhabi were due to instances wherein pedestrians were not given priority on the road. In line with this, the police called on motorists to be extra cautious when there are pedestrians on the road, by slowing down near crosswalks, and giving pedestrians priority in shopping malls and industrial areas. Similarly, pedestrians were given caution to only cross at designated areas for their safety and the safety of other road users.